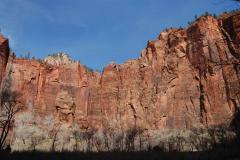 If this Zion tour is not available on your date, please consider the combination Zion and Bryce Canyon tour instead. It may be available. 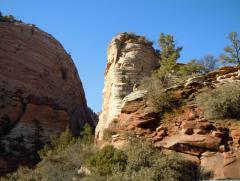 Unique rock formations and canyons! 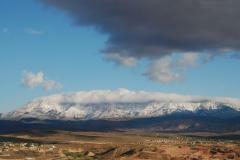 Only 2.75 hours from Las Vegas! 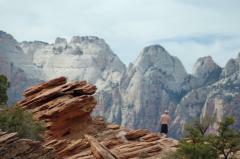 Zion really is an amazing national park. 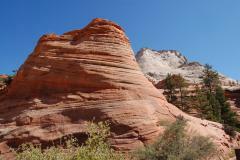 Not only is it the closest national park to Las Vegas, but its towering sandstone cliffs, gigantic rock formations and abundant plants and flowers offer unique sightseeing and recreational opportunities for an enjoyable one day trip! 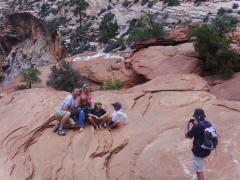 Like almost all of our trips, this is a small group tour. 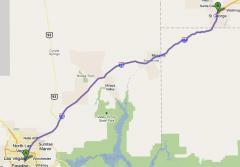 The vehicle will generally take between nine and 14 guests. Our guides are very knowledgeable about the areas you travel through, as well as the geology, traditions and customs of the local people. Feel free to ask any and all questions! Day 1 - Pick up lunch! 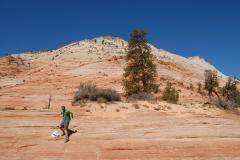 We'll stop just outside Zion to pick up your sack lunch. This will include a sandwich, bottle of water, fruit, chips and a mint. You have a choice of what filling you want on your sandwich, including a vegetarian option. This can be selected when you check out. 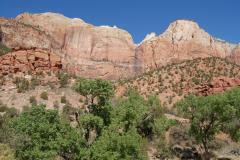 We'll enter Zion at the south entrance, and start taking a slow drive through the park, with frequent stops. 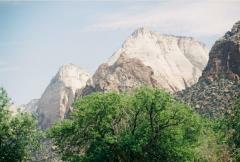 Utah has more national parks than any other state, and Zion is by far the most popular! 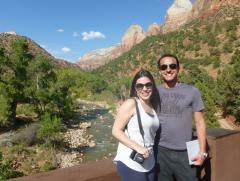 For the purposes of this one day Zion tour, our itinerary can be divided into three regions. 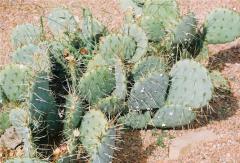 Time is spent in all three areas, but the order we undertake them may vary from tour to tour. 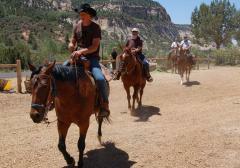 You will also have the option of going horseback riding during your Zion park tour. 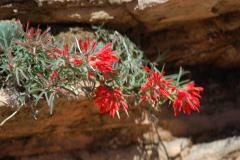 Zion is located close to where three major physiographic provinces meet up, and this accounts for the amazing variety of flora in this part of the park, as plant types from all three are to be found here. 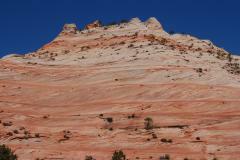 Towering Navajo sandstone cliffs of different colors and hues are everywhere you look, climbing up into the skies. 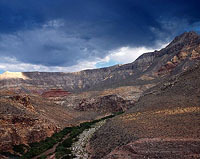 The Virgin River, which carved Zion Canyon, provides nourishment to the plants, as it makes its way to Lake Mead and the Colorado River. 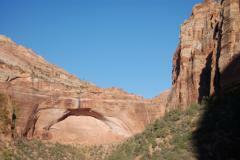 The Great Arch of Zion, a giant iconic landmark that has been naturally carved over the centuries, is one of Zion's best known sights, and it can be viewed in this part of the park. 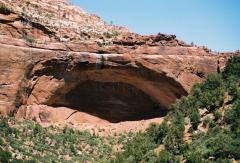 This is also where you will catch your first glimpse of the windows in the Navajo sandstone cliffs, showing where a remarkable tunnel was blasted into the rocks. Construction started in the 1920's and was completed in 1930. 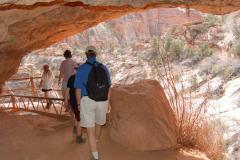 At some stage during your Zion park tour we will travel up through the tunnel on our way to Zion's higher elevations. 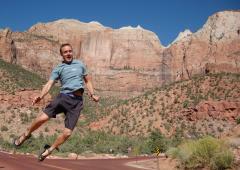 For most of the year upper Zion Canyon is closed to almost all traffic except Park Service shuttles. 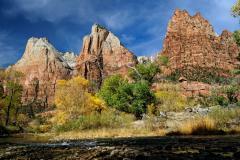 When we visit this part of the park on our Zion tour we will need to leave our vehicle, and take one of the shuttles into the canyon. 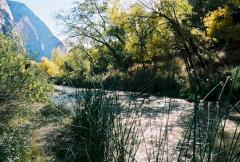 From November through March it is generally not necessary to use the shuttle system, and we will be able to take our own tour vehicle into upper Zion Canyon. 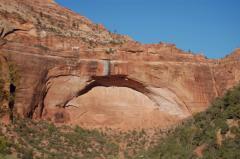 The shuttles stop at various locations in the canyon, and the great views are everywhere to be seen. 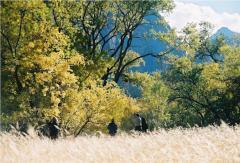 Your tour guide will be leading the group on the park service shuttle, and you will need to stay with him/her, unless you want to go horseback riding. 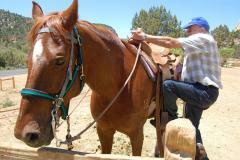 Horseback riding is an optional extra which can be ordered at check out. 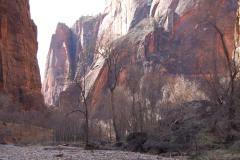 This is a one hour excursion which will follow the Virgin River for about a mile (1.6 km) to the Court of the Patriarchs and then return back to the loading corral. 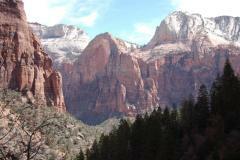 Amongst the natural wonders you will take in are the Three Patriarchs and the Beehives. Please be aware of two limitations on the ride. You must be at least seven years old, and not weigh more than 220 pounds (almost 100 kg), and yes, you will be weighed if necessary! 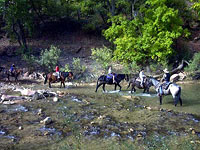 Those who do not take the horseback riding will explore more of the canyon with your guide, before returning to meet the riders. 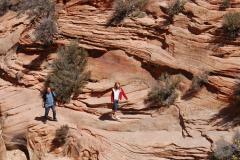 There are endless photo opportunities in the upper canyon, and you will be able to walk around and explore. 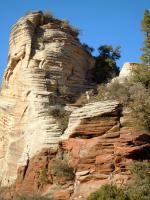 Amongst the sights you may see are the Great White Throne, a monolithic slab of rock towering more than 2400 feet (730 metres) above the canyon floor, Angels Landing, an island high up in the sky, and the Three Patriarchs. 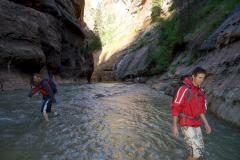 If there is time we will try and get all the way to the end of Zion Canyon, to the Narrows. 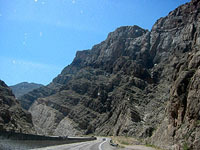 This is where the Virgin River has cut a narrow (hence the name) canyon through the cliffs. 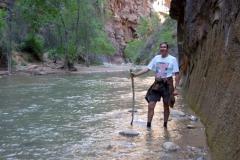 While there will not be time to hike up the river into the canyon, you can get your feet wet if you like, during this part of your Zion National Park tour. 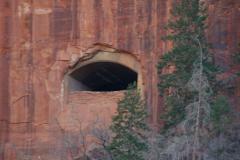 We mentioned earlier a tunnel that has been blasted through the Navajo sandstone cliffs. 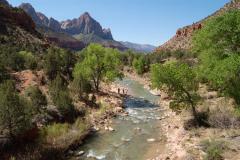 Your Zion National Park tour will take you through this, to experience the completely different scenery that is to be found as you get to the other side. 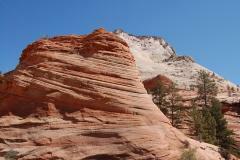 Gigantic sand dunes have been frozen into rock over the millennia, and the striations in the rock show the direction the wind was blowing as the dunes began to solidify. 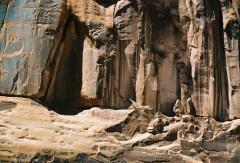 An amazing sight is the trees growing out of the rocks at all sorts of odd angles. 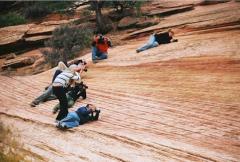 For many people this is their favorite part of Zion, and you will have the opportunity to get out and inspect the rock formations at close quarters, and take pictures to your heart's content. 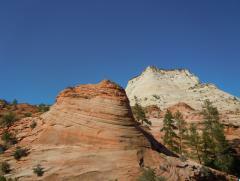 On a sunny day the contrast between the red and white rocks, and the blue sky is quite awesome! 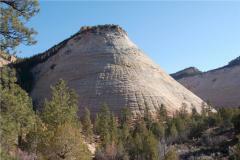 Checkerboard Mesa is one of Zion's better known landmarks. 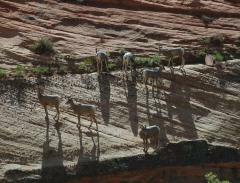 You've always been told to keep your eyes on the road, but if you want to see big horn sheep in Zion, peer closely at the cliffs. 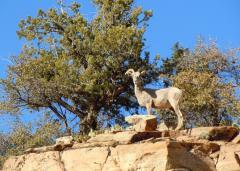 Like mountain goats, they are often to be found in the most inhospitable places. 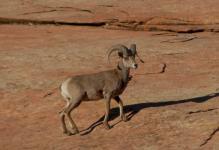 We see big horn sheep about 30% of the time we go to Zion. 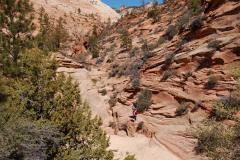 Depending on the make up of the group, we may or may not take a walk along one of the easier trails. 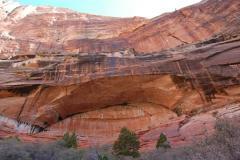 A favorite is the Canyon Overlook Trail, which we come to as we leave the tunnel. 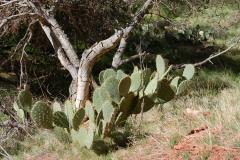 The first 100 yards or so are fairly steep, along a man made trail, but after that it is pretty easy, although there are exposed areas. 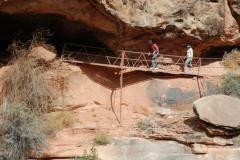 The trail is about half a mile (0.8 km) each way, and generally takes about an hour round trip. 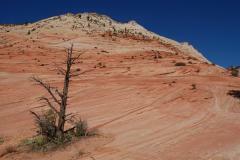 There are some great views along the way, and some interesting trees and rock formations. If you intend doing any walking around, we recommend that you bring a good pair of walking shoes with you, with ankle supports. 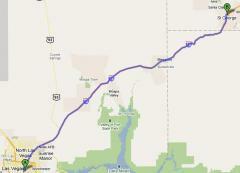 It is now time to start making our way back to Vegas. Day 1 - Sorry ... no cancellations accepted! Payment And Cancellation Details: CANCELLATIONS WILL NOT BE ACCEPTED FOR THIS TOUR. Changes will also not be accepted, and refunds will not be given. 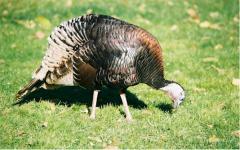 Please consider purchasing trip insurance as our cancellation policy is strictly enforced. Your card will be charged within 12 hours of making the booking. The credit/debit card used must be in your name and must be present, so we can take an imprint. Please contact us if this is not possible. Please ensure you have the card you used with you. If the card is not in your name please let us know ahead of time, as our credit card authorization process will need to be completed. 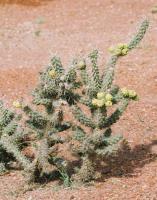 Pick ups take place at most Strip properties. If you are staying elsewhere, please catch a bus or taxi and we'll reimburse you a maximum of $10 against the receipt. 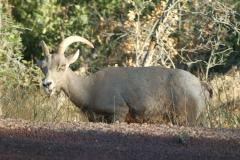 The tour departs at about 6 a.m. and lasts about 10.5 hours. The tour runs every day. Depending on when you book, at some times of the year we may need a five person minimum. That is not five in your group but a total of five. The entry fee is included. A sack lunch is included. After ordering please wait for our email confirmation prior to making arrangements that are dependent on this tour. 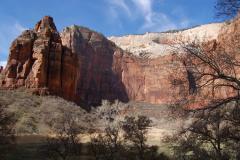 We are not responsible if bad weather, road closures, traffic or other factors beyond our control result in parts of Zion not being seen. 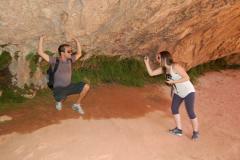 There is no hiking on this tour, but you will have ample opportunity to walk around and see the sights.